Is Acura a luxury car? The answer is a resounding yes! Melville drivers can consider Acura vehicles luxury thanks to the high quality of each and every model. Each model is crafted with care and several luxury features like AcuraWatch and Acura Navigation as well as undeniable luxury performance. Stop by Acura of Huntington today to see for yourself! All of these features are much harder to find in non-luxury models. How Does Acura Compare to Other Luxury Models? When stacked up against other luxury brands like Mercedes-Benz, Acura stands out. Models like the TLX, MDX, or RDX offer everything other luxury brands do. 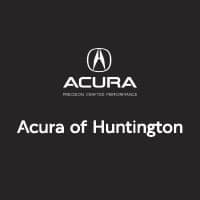 When you decide that a luxury vehicle is for you, from a great SUV like the Acura RDX or a mid-size luxury sedan, make your way to Acura of Huntington near Melville to find the high performance luxury Acura vehicle that’s right for you and your budget. Shopping with us is simple and easy. Visit our showroom, pick out your luxury model, and talk to our finance center staff to get approved for your new vehicle today! Contact us in the meantime with any questions, and follow a few simple tips to keep your luxury leather seats clean! 0 comment(s) so far on Is Acura a Luxury Car?